How to change labels of many posts at once in blogger, how to change labels, change labels of all post in one click, change labels of all posts, change labels of multiple posts at once, 101Helper blogging tricks. 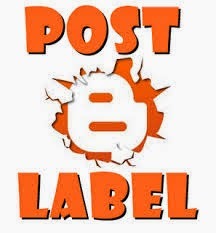 While writing a post in blogger it is labeled or categorized by clicking on labels on right side of the post editor and that label appears in the blog also but sometimes people write many posts having same label and later want to change label of these post. And for that they open each post one by one and change its label which is not only a hard work but also a time consuming work in case of more than 50 posts. First of all go to blogger log-in to your account and open your blog. Click on the labels name which you selected and want to remove it or if you want to add a new label click on New label and write your label name and click ok. For example I want to change the label beginner to blogger to blogging or want to remove it then I have to select the beginner to blogging label first as shown in second step then I have to select all the post of beginner to blogging label, now if I want to remove it I have to click the same label(beginner to blogging) and if I wish to add a new label I have to click on new label, write my label and hit ok button. Congratulations! you have done successfully. I hope you like this post and it was helpful to you, if yes then share it with others and if no then ask me in comments below. Follow and subscribe to get latest blogger tips,tricks,widgets,tutorials and seo tips in your inbox. Tags: How to change labels of many posts at once in blogger, how to change labels, how to rename labels,change labels of all post in one click, change labels of all posts, change labels of multiple posts at once, 101Helper blogging tricks.